Brandon Roy's red-based Hyperfuse player exclusive set to hit select locations in the coming weeks. If the question heading into Portland's season opener against the Phoenix Suns last night was whether or not Brandon Roy's knee was ready to go, I guess the answer is a resounding 'yes." In a 14-point win over the Suns, Roy dropped in 24 points, also adding 6 assists and 3 steals. Looks like he's ready to pick up where he left off last season. Like a lot of players around the league, Roy's footwear weapon of choice to begin the new season is the Nike Zoom Hyperfuse. In fact, the guard has been sent several player exclusive colorways to rock throughout the season. Fortunately for Roy fans, one of those colorways is set to hit Nike retailers in the coming weeks. 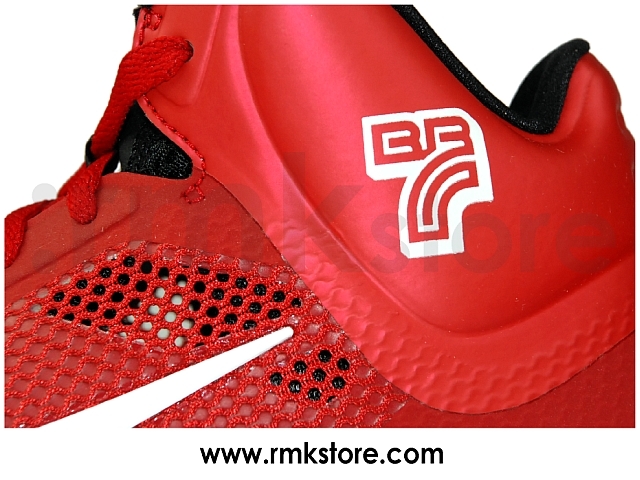 The Roy Hyperfuse PE sports a varsity red synthetic upper, complete with black hits on the tongue, inner liner and outsole. White does the branding job on the tongue and side panels, as well as Brandon's "BR7" logo on the ankle. 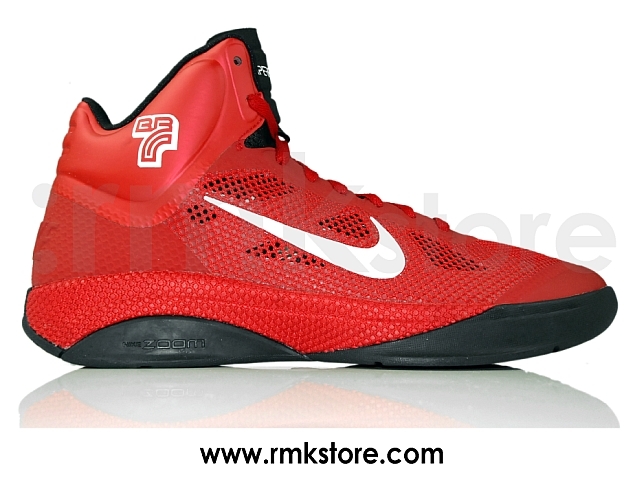 Expected to drop at very select retailers in November, the Roy Hyperfuse PE is available at RMKStore today.